Public Co., Chokchai , Thailand . The design focused on a refrigeration system and low-temperature air conditioning for a poultry slaughter and processing plant, with a slaughter capacity of 360,000 birds per day. By installing smaller compressors, smaller suction pipes and insulation material, the system saves some $200,000 of the first cost of equipment and material. The estimated annual energy savings is nearly $300,000 a year, with an estimated total reduction of carbon dioxide emissions equal to 1,900 metric tons per year. Water usage was reduced by 91.3 percent. the two largest manufacturers of tube ice makers in the world. Dr. Chongvatana's other product lines include stainless steel evaporative condensers, spiral freezers, tray tunnel freezers and continuous fluidized bed freezers,among others used in breweries and seafood and milk processing plants. He designed the largest poultry processing plant in the Association of Southeast Asian Nations where some 500,000 chickens are frozen each day. 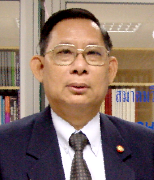 In 2004, he received the Thailand Outstanding Technologist Award from the Foundation forthe Promotion of Science and Technology, which is the first time the award was given to someone outside the civil service. loads, was the first of its kind in Thailand. Another project on thermal comfort is widely used as a reference for engineers. Vechaphutti investigated the thermal comfort requirements for subjects in hot and humid conditions in office buildings. He determined that the comfort temperatures for Thai men and women are 73.7°F (23.2°C). He also designed the HVAC system for the largest shopping center in Thailand and Southeast Asia, which included a low kilowatt tons of refrigeration chiller, the first used in the country. 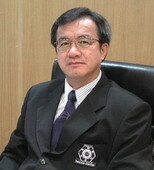 He served as chair of a committee that drafted the air-conditioning section of the government's energy policy. 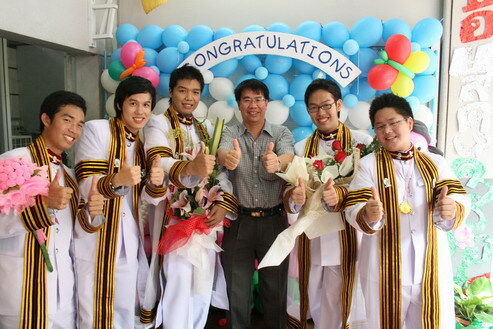 Congratulations to Thai student team from Chulalongkorn University! ASHRAE Thailand Chapter is proudly to announce that this year our student team from Chulalongkorn University won the first place winner in ASHRAE's 2008 Student Design Project Competition for the HVAC System Design Category. We would like to commend the team on their excellent work. The award presentation will be made during the Plenary Session at The Plamer House on Saturday, January 24, 2009, at 3:15 p.m. in the ASHRAE winter meeting. Industrial Advisors - PATKOL Plc. 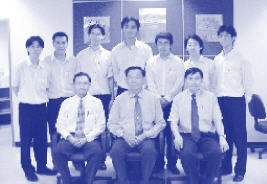 Congratulation to the Students of Chulalongkorn University and the ASHRAE Thailand Chapter!!! 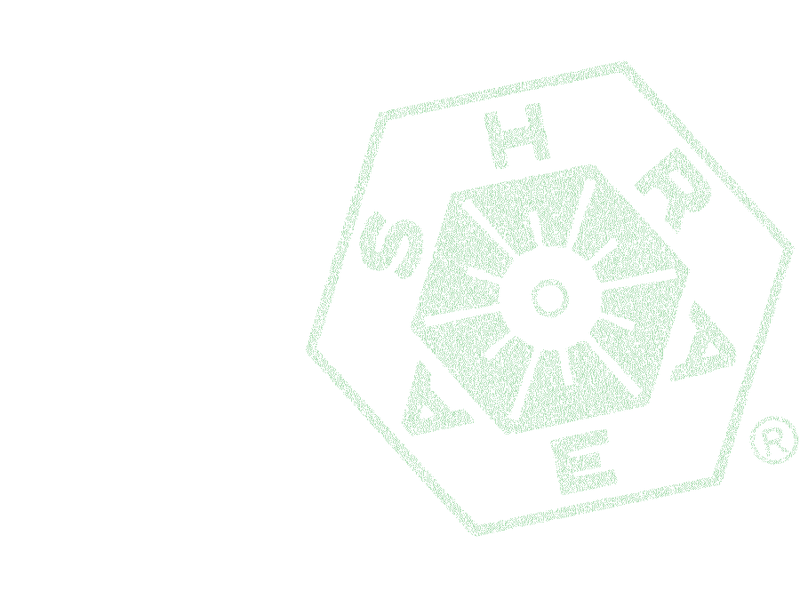 This is the first time the Students in Region XIII have participated in the ASHRAE Student Design Competition. 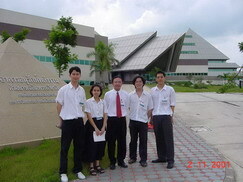 A submission from a team of four senior Mechanical Engineering students from Chulalongkorn University, under a supervision of Khun Chakrapan Pawang karat, was selected by ASHRAE THAILAND CHAPTER and by the panel of Region XIII Judges comprises of a team of professionals and experts in the field of HVAC&R in Singapore. Thai entry has won over three other submissions from Singapore and has been forwarded to the Society to compete with all Student Designs Worldwide. 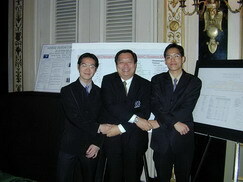 The Submissions were judged by the ASHRAE Student Design Project Subcommittee in the Annual Meeting in Cincinnati in 22nd June 2001. The winners for the HVAC Design Category are 1st Ferris State University USA, and the 2nd winner Chulalongkorn University Thailand. Congratulations!